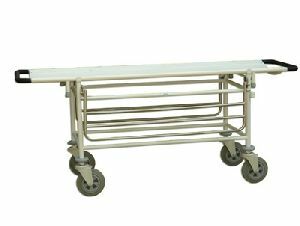 Size : 1930 × 595 × 530/820 mm. 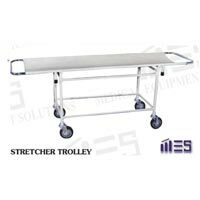 Frame work made of stainless steelHeight adjustable manuallyMounted on 125mm castors all with brakesBackrest adjustable manualTrendlenburg though lever handleS.S safety guard rails on both side.Provision for IV Rod. 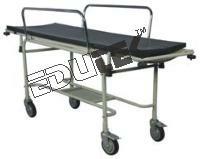 Size: : 3500 × 650 × 750 / 950 mm. 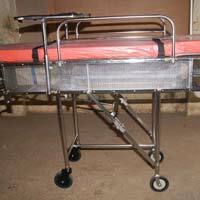 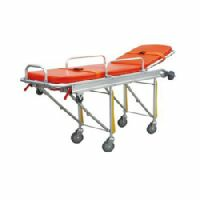 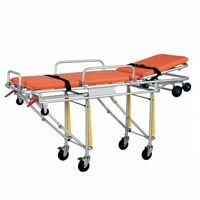 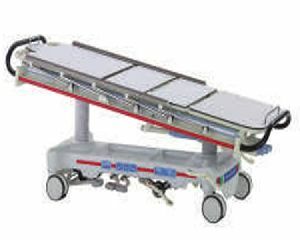 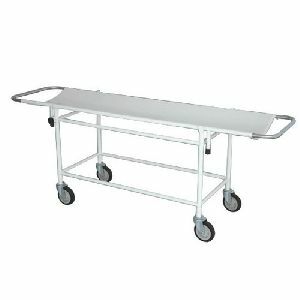 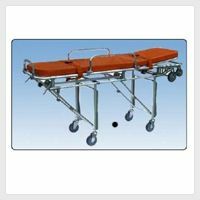 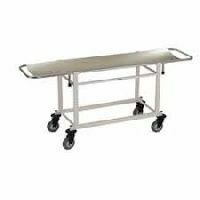 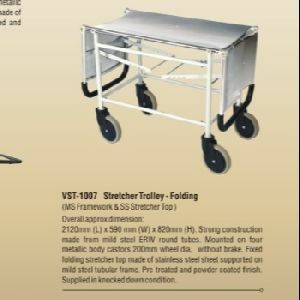 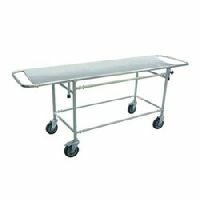 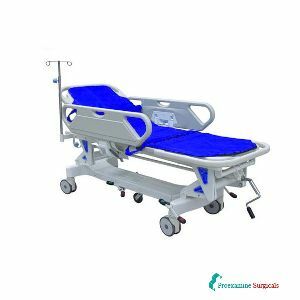 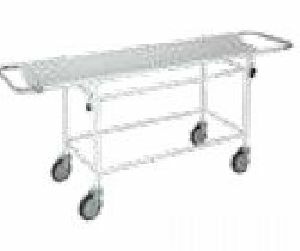 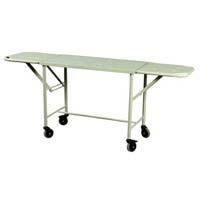 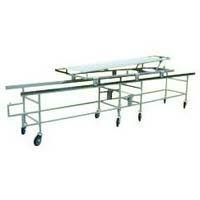 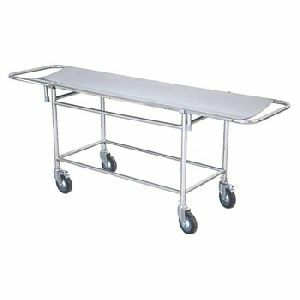 Patient Stretcher Trolley M.S. 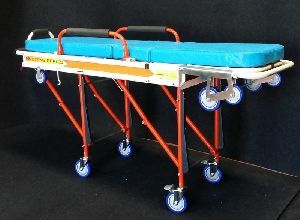 tubular construction with MS removable stretcher. 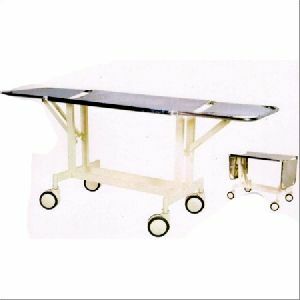 Mounted on 100mm Dia. 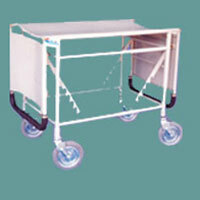 Castors Two with brakes. 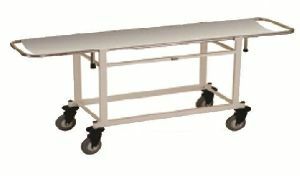 Epoxy Powder coated. 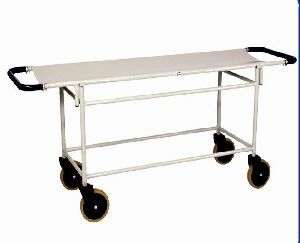 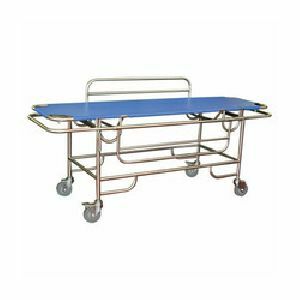 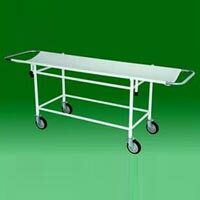 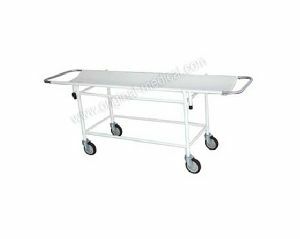 MS or SS Folding Patient Trolley tubular framework mounted on four swivel casters 125mm dia. 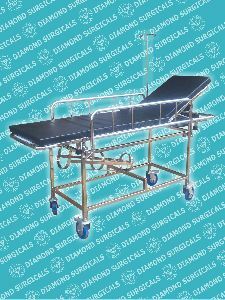 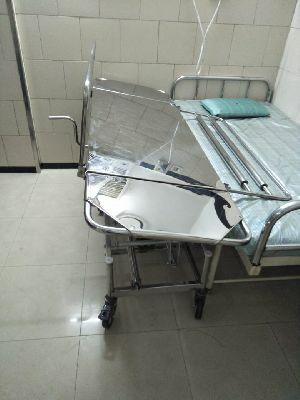 MS Material Pre-treated in seven tank chemical process and epoxy powder coated, which it makes uncorrosive Medical furniture Medical Equipment.